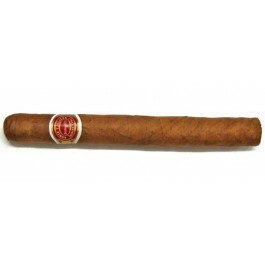 The Romeo y Julieta No.1 Tubos is a smooth and rich medium Crema, 5.5” (140mm) long, of 40 ring gauge, and comes in aluminum tubes in a 25 cigars box. Therefore it stays in good condition even outside a humidor. So it is ready to be open at any occasion, and thanks to its amazing construction, it can be enjoyed from the beginning until the very end of it. There are no strong or intense flavors, just a pleasant mix of smooth flavors, wood, coffee, chocolate and some of leather and floral tones. Altogether they make this a cigar that will appeal to both the experienced smoker and the newcomer to Cuban stogies.